The “Dogs of the Dow” is one of the simplest, most well-known dividend strategies on Wall Street. And investors who choose to jump in during 2019 will be shooting for their fifth straight year of market-beating returns. Of course, by being a little more selective, you and I can beat even the Dogs – just like we did last year! A quick refresher: The “Dogs of the Dow” strategy involves buying the 10 highest-yielding stocks in the 30-component Dow Jones Industrial Average at the start of the year. The idea is that when you buy blue-chip stocks, high relative yields are actually signal value. These firms may just be at the weakest part of their business cycles – and ready to snap back. Blue chips are rarely cheap, so when there’s a chance to jump in at a value, investors want to jump in. Not only do you enjoy yields on these stocks that are higher than usual, but you get the upside of outsized gains as the stocks rebound. The strategy has yielded an annual total return of 9.5% since 2001, compared to 7.3% for the S&P 500. Last year didn’t look all that great, with a 1.5% loss, but it beat out 3.5% and 4.4% losses for the Dow and S&P 500, respectively (all those figures include dividends). That was good enough for the strategy’s fourth consecutive year topping the broader market. But you and I did even better. By selecting the crème de la crème – three of last year’s Dividend Dogs – we generated an average total return of positive 8.8%! That’s 12 percentage points better than the Dow, and 10 percentage points better than the Dogs! Today, I’ll show you how to clobber the market again. Let’s dig into the Dogs that really stand out. Oil had a wretched 2018. The U.S. benchmark West Texas Intermediate Crude steadily climbed from about $60 per barrel at the start of 2018 to $76 in early October before plunging to a year-end close around $45. Unsurprisingly, ExxonMobil (XOM) – the world’s largest publicly traded oil and gas company by market cap – struggled, too. Exxon shares delivered a total return of -18.3%. That’s with its substantial payout. That said, the tide might be turning for oil and Exxon alike. Wall Street’s pros spent December slashing oil-price estimates for 2019 – estimates that still represent upside from current prices. BofA Merrill Lynch analysts, for instance, are looking for an average WTI price of $59 per barrel. But U.S. China trade-talk progress and OPEC production cuts are starting to spark some optimism. Oil prices recently carved out an eight-day win streak amid the latest round of negotiations with Beijing, as well as comments by Saudi Arabia’s energy minister. The country says it will get its January oil production down to 10.2 million barrels per day, from about 11.1 million in November. All told, OPEC will sideline about 1.2 million barrels per day. Exxon, meanwhile, laid out an aggressive growth plan in early 2018 to turn its operations around. The company believes it can more than double earnings between 2017 and 2025, projecting “double-digit rates of return in all three segments of ExxonMobil’s business – upstream, downstream and chemical.” That will start with what analysts expect will be a 30% jump in profits for 2018, followed by another 11% improvement for the current year. Moreover, ExxonMobil is paying a yield not seen since 1995. XOM’s precipitous losses have juiced the dividend yield to historic highs in the mid-4% range. 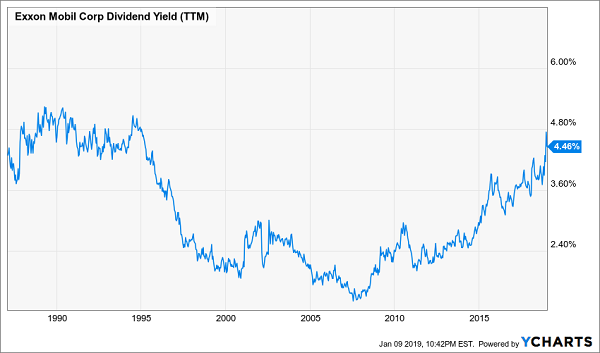 And your yield on cost is sure to only grow in the years ahead as Exxon, a Dividend Aristocrat, continues adding to its 36-year streak of annual payout hikes. 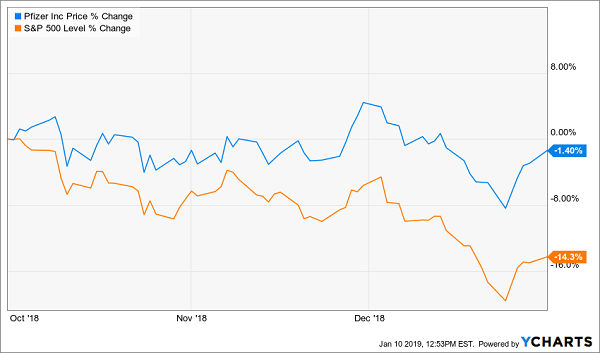 Pharmaceutical titan Pfizer (PFE) was one of my three wonder-Dogs in 2018, and I think the maker of Lyrica is a quality repeat choice in what could be an uncertain 2019. Of course, Lyrica – Pfizer’s $5 billion blockbuster drug that treats several indications including epilepsy and anxiety – likely won’t be one of the success stories. The drug has been steadily losing its exclusivity both here in the U.S. and in Europe, and in fact sales have been on the decline since 2015. But that’s OK. Pfizer has replacement power. Pfizer also reaffirmed its status as a safe-haven holding during 2018’s fourth-quarter market implosion. While the market dipped about 14%, PFE shares dropped only 1.4%. That’s thanks in large part to the company’s wide drug portfolio – which also includes over-the-counter consumer products such as Advil – and a healthy dividend that yields more than 3%. That combination of safety and cash will be plenty welcome should 2018’s turbulence bleed into 2019. Cisco (CSCO) is an old school tech company that continues to reinvent itself while harvesting boatloads of cash from its legacy businesses. The firm is a digital utility for the Internet, collecting money from a host of related businesses including infrastructure platforms, software applications, security products and consulting services. Yet investors flocked to hotter, younger tech names and left Cisco behind. Shares, while perennially cheap, continue to grind steadily higher thanks to a dividend that’s now up more than 5-fold since its 2011 debut (from $0.06 per share quarterly then to $0.33 now). And Cisco is wisely transitioning many of its products to subscription models. Recurring revenue now accounts for 32% of the firm’s total sales. It also has $5+ billion in “deferred product revenue” that it will be collecting in coming years as these subscriptions renew. 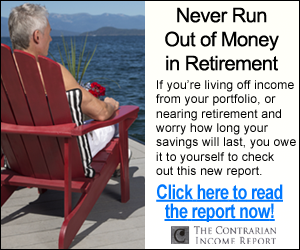 The company is quietly turning itself into an internet-powered annuity! 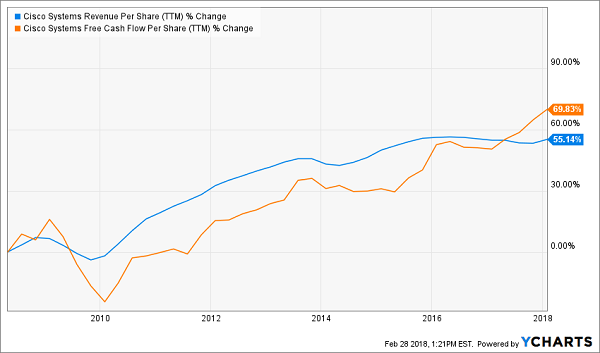 Cisco is able to generate gobs of cash this way ($13.7 billion in operating cash flow for fiscal 2018). 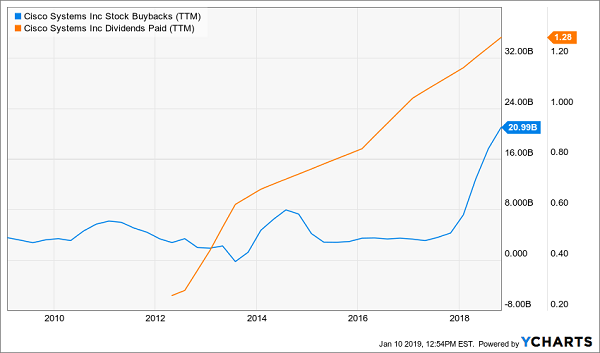 The company’s not shy about rewarding shareholders, either, buying back $17.7 billion worth of its own shares (boosted by its $67 billion cash repatriation in early 2018) and using another $6 billion to pay out dividends. Cisco also is getting more involved with cybersecurity, such as through its purchase of Duo Security, which provides two-factor security technology. Analysts see earnings growing at a nice 17% clip this year on a roughly 5% bump to sales. That, and a 3% yield that’s certainly on the high end of tech payouts, makes Cisco a solid Dog to hitch your sled to in 2019. The Dogs of the Dow is one of my favorite strategies because it takes something basic (typically big, slow blue chips) and adds a twist to generate extra income and market-beating returns. 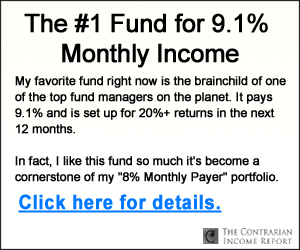 In fact, that’s exactly the kind of tactic I use in my new “Dividend Conversion Machines” – and it delivers far better yields than the ho-hum 3%-4% of the Dogs of the Dow, not to mention sizzling total returns of nearly 30% annually! I haven’t been this excited about an income opportunity in years. … until you saw how my Dividend Conversion Machines work. The stocks I target have extremely specialized businesses that allow them to do the seemingly impossible: They wring high-single-digit dividends from some of the most skinflint companies in America. Visa currently yields a meager 0.8% … but one of my Dividend Conversion Machines magnifies that payout to 9.2%! Another one can produce a 9.4% yield out of Google, which doesn’t pay a single cent in dividends! This isn’t an options strategy. This isn’t some dangerous derivative. And it’s certainly not “the next Bitcoin.” What I’m going to show you is both as SAFE and as SIMPLE as buying traditional American blue-chip stocks.